Bathhouse stairs is what one man died from after falling down a flight in Sydney, Australia. 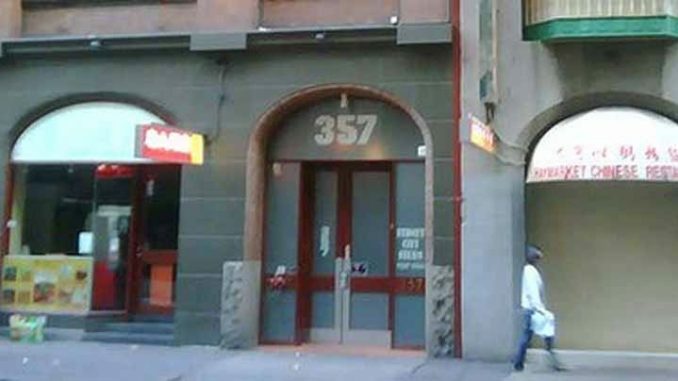 The 35-year-old man was leaving from the first-floor exit of Sydney City Steam on Sussex Street when he fell and hit his head and fell down bathhouse stairs police said. This bathhouse has been the largest, most sought after Gay owned & operated Sauna in Australia for 13 years running. Serving 2500 guys a week. Sydney City Steam, or 357 as they call themselves, is over four floors with an internal lift, should you not wish to take the stairs. Which is ironic as someone died falling down the stairs.